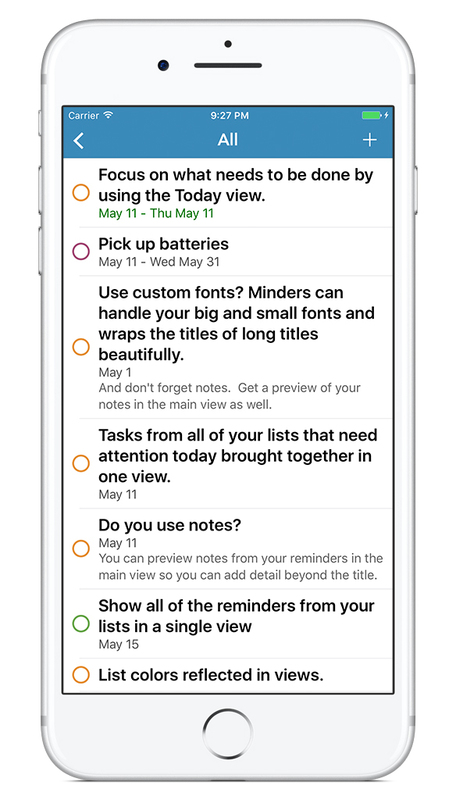 Minders is a simple replacement app for the built in "Reminders" app that came with your iPhone. Because Minders is built on the same engine, you get all of the same functionality but with an alternate interface that can give you views not available in the built in Reminders app. The Today view combines all reminders than need attention today into a single view. Your reminders can make it into the list either by having a due date that is today or overdue or because a start date has been set and you need to do some work. We like to use a calendar view to pick start and due dates for our reminders. The scroll wheels are nice, but don't really give you context about the date you are picking. Sometimes you need to see all of your reminders in one view. Seems like a simple thing so we put it at the top of Minders. 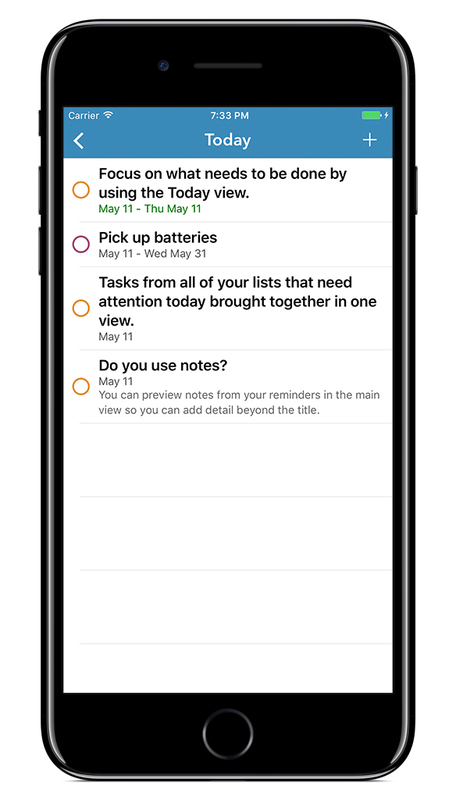 Get a view of everything you have to do or be reminded of in a single All list. Support for Minders is available at support+minders@cgbits.com.